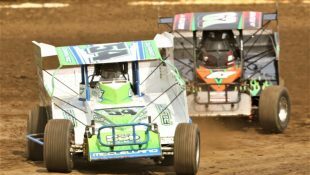 THUNDER ON THE HILL TO CELEBRATE 30TH ANNIVERSARY SEASON AT GRANDVIEW IN 2019 :Racers Guide – The Web's #1 Racers' Online Directory! THUNDER ON THE HILL TO CELEBRATE 30TH ANNIVERSARY SEASON AT GRANDVIEW IN 2019, HERE’S AN EARLY LOOK AT SOME SPECIAL EVENTS. . . .